Yan Teh is a relentlessly curious twentysomething on a mission to make cities better. 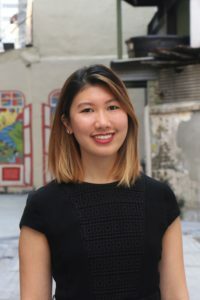 At Think City, Yan has focused on researching and improving mobility in Kuala Lumpur by analysing public transport data and engaging with key stakeholders in the city’s transport ecosystem. Besides mobility, Yan is passionate about public outreach, nurturing budding citymakers through public talks and workshops aimed at empowering citizens to effect change in their cities. Prior to joining Think City, Yan wrote an article series called Cities 101. The series aimed to generate public interest in cities and their impact on our everyday lives. Yan was also part of the team that delivered Singapore’s inaugural Urban Design Festival. Yan graduated from Durham University with a BA (Hons) in Business and Music. At postgraduate level, she studied law. She is obsessed with well-designed pedestrian maps and pavements, and yearns for a world with more trees and benches. You can contact Yan here. Her writing portfolio is available here.